It is a sure sign of spring when the Blue Hill Heritage Trust announces their spring conservation lecture series in collaboration with the Blue Hill Garden Club and Downeast Audubon. This year’s theme is “Time” of the forest and horseshoe crab. Both have been here for millions of years. Coinciding with BHHT’s recent purchase of 2,220 acres of forest in Surry, the first lecture will be about “Community Forests” and will be held on Tuesday, April 17. The speaker, David Montague, executive director of Downeast Lakes Land Trust, will discuss the crucial role of forests in our region and offer ideas and inspiration for conservation efforts on the Blue Hill Peninsula. To fully understand the context and role of the forest, Professor Drew Barton from UMaine Farmington, will present “The Changing Nature of the Maine Woods” about the history of the land, its tremendous variety and future in Maine on Monday, April 23. Barton will also address the environmental threats and the impact of climate. Learn how and why the forest matters. 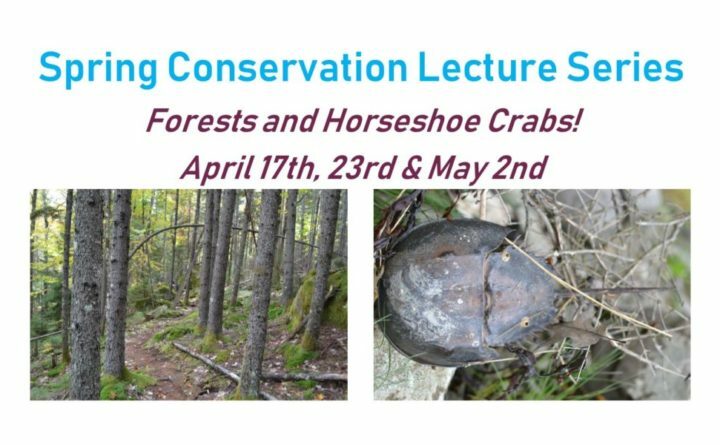 The final lecture on Wednesday, May 2 by marine scientist, Sarah O’Malley, who is an instructor at the Maine Maritime Academy, will focus on the natural and human history of horseshoe crabs and how they have sustained an ecological niche over millions of years. Understand how the Bagaduce watershed is a significant breeding ground for these unusual animals. All lectures are at the Blue Hill Public Library, free, and open to all ages with a reception from 6:30-7 p.m. and lecture from 7-8 p.m. with Q&A. For more info, visit www.bluehillheritagetrust.org or call 375-5118.